MANILA, Philippines - The Philippines is known as one of the world’s most vulnerable countries when it comes to hazards and natural disasters, but what not many realize are the other concerns arising from this. In times of disaster and emergency, 8 out of 10 poor families will access a loan to tide things over. This is not adviseable for one’s financial health. Low financial literacy often results in loans being used for consumption purposes, such as purchases of medicine, food, or the repair of housing. Take the case of school teachers. Research conducted in 2015 shows that while teachers are well aware of how to prepare budgets as a part of their profession, a significant portion of them – around 68% – are also heavily indebted, without savings for emergencies, leaving them prey to loan sharks. Vince Rapisura knows this, and wants to do something about it. His is a unique perspective, having grown up in a small rural neighborhood in the province of Quirino, and teaching social entrepreneurship and microfinance at the Ateneo de Manila University for the past 13 years. 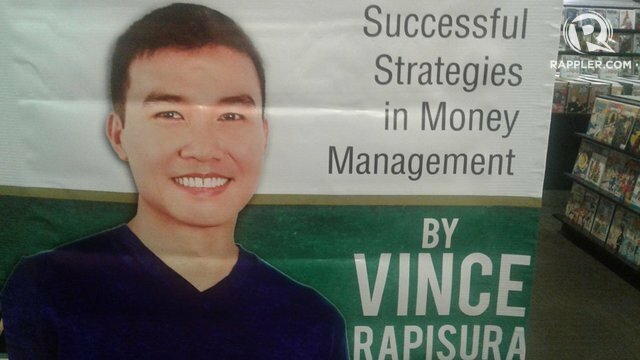 Through Social Enterprise Development Partnerships or SEDPI, he has provided financial literacy training to overseas Filipino workers in 15 countries, helping more than 30,000 individuals get back on their feet and learn how to develop stronger financial management skills. “That’s where the opportunity came in. Maybe we should go into financial literacy for overseas Filipino workers, because they send a lot of remittances to the Philippines,” observed Rapisura. (L)Earning Wealth is the first book from the SEDPI Foundation. Unlike other books, however, for every book purchased, the SEDPI Foundation donates another book to marginalized communities. This “One-for-One’ model not only benefits the book purchaser by learning about money management, but also has a direct impact on helping poor communities. (L)Earning Wealth is a personal finance guidebook that contains proven methods, expert counsel, and practical advice on how to better manage one’s finances, explaining in simple terms the language of money - assets, budgeting, insurance, investments, liabilities, loans, loss, profit, and savings. It is not just a financial dictionary, but also dwells on typical Filipino practices, attitudes, and behaviors that prevent effective money management. 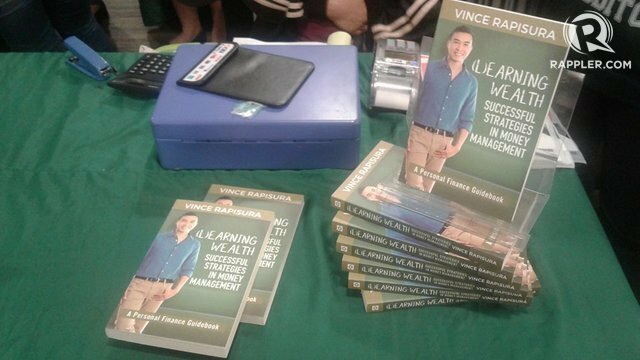 Real-life experiences and examples are shown to illustrate lessons learned the hard and painful way, and will hopefully inspire more Filipinos to begin the journey not just towards financial literacy, but to take the necessary steps to secure their own financial freedom - and that of their friends, families, and communities. “This (book) is very relevant if you’re looking for ways to start your financial plan, how to get out of debt, what insurance product is right for you, how to invest, how to avoid investment scams,” says Rapisura.